Above are your choices for today’s Recalibration Reading. 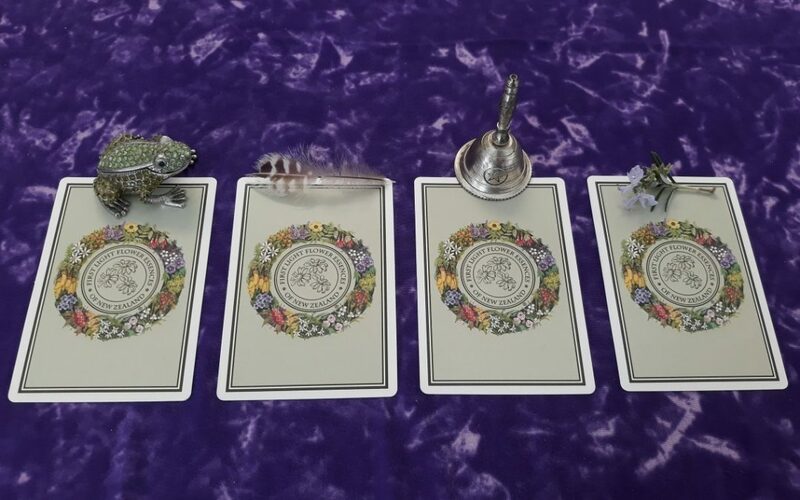 Choose which card or item resonates with you and continue reading below to receive your spiritual guidance and nourishment. 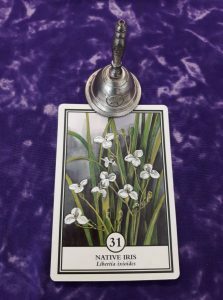 This cycles Recalibration Reading is from the First Light Flower Essences of New Zealand card pack 1-84 and The Sacred Plant Medicine of Aotearoa. #1. 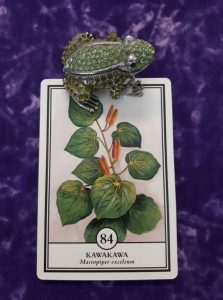 First Light Flower Essences card with green frog. Take a leap of faith and put your dreams into action. You have everything inside you that you need to move forward, even if you don’t feel like you do. Be in the moment, be courageous, and stop caring what others think. It’s time to get out of your comfort zone. But don’t be reckless or foolish. Trust in yourself, embrace new beginnings, and be open to the adventure of life. Open yourself up to inner freedom and believe the impossible can be achieved. Take a chance on yourself. Working with flower essence Kawakawa will be of much benefit to you at this time. Silver Fern. Trust. Recalibration Reading. #2. First Light Flower Essences card with pheasant feather. It’s time for you to trust yourself and love yourself. Has that been hard for you at times? The sooner you accept yourself completely the sooner you can heal and give yourself the love you deserve. There is deep soul sorrow and heartfelt trauma to be cleared from your energy field and cellular consciousness. Sometimes it’s so well hidden we don’t even know it’s there, but it rears its head by us not feeling safe enough to let our guard down, or by us finding it hard to breathe in times of stress. Now is an optimum time to clear out any trauma from your past or present caused by betrayal, grief, rejection, abandonment or a feeling of not belonging. When we heal the wounded child inside us we become free to trust and love ourselves once again. Let go of any jealousy and hatred of self and others as this will poison your aura. You are good enough just as you are. Heartfelt trauma healing is here for you now. Spend time in nature when you feel overwhelmed and feel her healing powers wash over you. 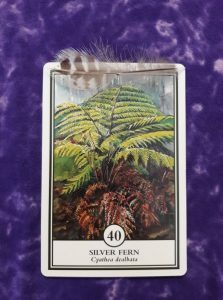 Working with First Light Flower Essence #40, Silver Fern will be of much benefit to you at this time. Native Iris. Individuality. Recalibration Reading. #3. First Light Flower Essence card with Bell. It’s time to express your uniqueness and embrace your individuality. Relax let go of the need to fit in. You rock just as you are. Expressing your true authentic self inspires others to do the same, which creates positive change. Do you let others define you? Take some time to explore who you are outside of your roles in life eg parent, boss, spouse, worker, sister, daughter, son, teacher etc.… and get in touch with your core being. Remember you don’t have to conform to others beliefs or ideals. It’s ok to be different. Stand up for what you believe in but don’t force your ideas on others. Practice mindfulness instead of squandering your energy or overreacting. This will help you relax. Working with the First Light Flower Essence #31 Native Iris will help you express your individuality, and transform any residual pain from not fitting or rejection into feeling comfortable with your uniqueness so you can be all you can be. #4. First Light Flower Essences card with Rosemary. Pohutukawa. #1. Initiative. The Pioneer. Using initiative and innovation will help raise your inner spark and connect you to your inner power. Charge forth and bring the new into existence. Be proud of who you are and own it. Own your needs too. You’re allowed to have them. It’s time to practice self-awareness and enhance your self-realisation. Answer these questions honestly. Do you put others needs first to your own detriment? Have you been neglecting your calling while you support others in theirs? Are you holding on to anger? It’s ok to say no to others demands on your time and energy. It’s ok to be assertive and stand your ground. Take some time to reconnect with nature and get spiritually aligned. 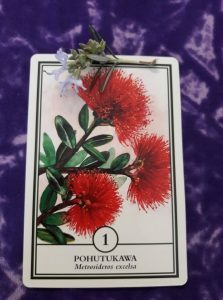 Working with the First Light Flower Essence #1 Pohutukawa will help you use your initiative, help you let go of any feelings of self-hatred, or like you’ve failed yourself, and transform the attitude of I can’t into I can. 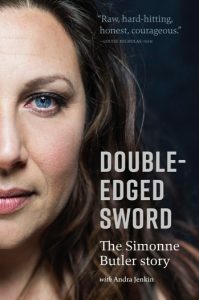 As a whole, this reading is about having faith and trust in yourself, creating innovative change in your life, and living authentically. Wishing you a magical week ahead.